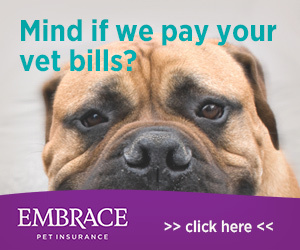 It isn’t often that we can treat our beloved pets to something truly worthy of the love and affection they have given us over the years. Villacera is proud to be able to offer the finest pet bed your canine friends could ever hope to sleep or rest on. The Chesterfield Pet Bed by Villacera is so nice you will wish you had one large enough for you to sit on. Made of the finest faux leather, the Chesterfield by Villacera is quality through and through. Available in Rustic Brown, Rich Tan or Classic Gray, the Chesterfield Pet Bed will be a compliment to any decor. You didn’t just buy them a pet bed pillow, you invested in a Chesterfield! Villacera has scoured the globe to find the finest materials and softest fabrics to make the Chesterfield pet bed truly spectacular. 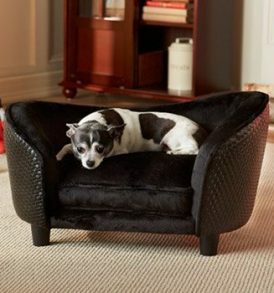 Your pet will not want to get off the cozy cushion, snuggled safely into the sturdy faux leather covered backing. While others brag of heirloom quality, the Chesterfield by Villacera is the only pet bed of this style that can truly make that claim. Who wants to pass down imitation faux leather when they can be proud to have a true masterpiece that can last for generation after generation. And we back up our Chesterfield pet sofa’s with an industry leading 1 year limited warranty! About the Chesterfield: Man’s best friend deserves nothing less than the best. 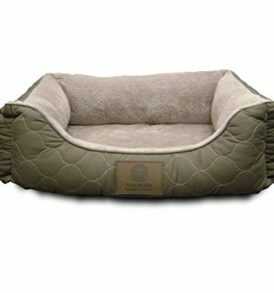 The Villacera Chesterfield Pet Bed has classic old world style at a price you can afford. Color/Finish: Available in Rustic Brown, Rich Tan or Classic Gray, with a plush, color matched reversible cushion that buckles to the hard wood frame. Measurements: 33.5” W x 16″ H x 30.25” Deep. Material: Genuine Faux Leather, Fabric, Fiber, Foam, Birch Wood, Compressed Wood. Heirloom Quality – If you want the finest quality for your pet, the Chesterfield Pet Bed is what you are looking for. Color: Brown.